Many K-pop lovers will choose to stay in Korea when their favorite artist is holding a concert or over the weekend to try and score tickets to go to live music recordings like M!Countdown, Music Core, Music Bank or Inkigayo. However, what if your Korea trip doesn’t coincide with these music recording days or your fave artist concert? Well don’t fret! There are other ways to try your luck to do some star watching. You can make your own chances by going to these places to try your luck to do some celebrity spotting. If you are an E.L.F, try going down to KBS Station to try and spot Leetuk and Eunhyuk who are the hosts of Super Junior Kiss the Radio. 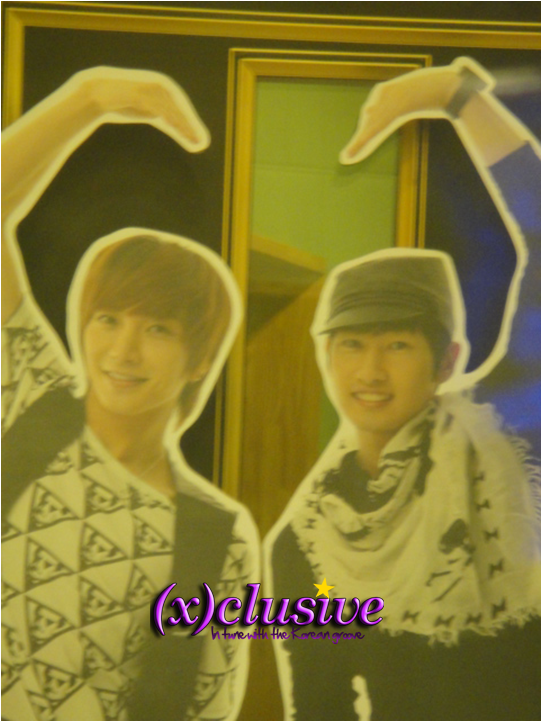 From Monday to Friday, these 2 Super Junior DJs will be in the radio station from 10pm to midnight. 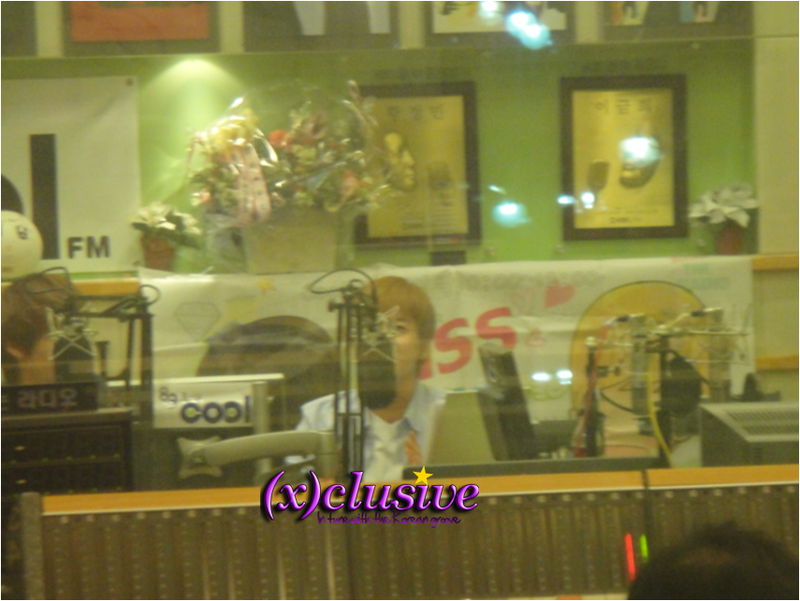 During the 2-hour radio show, there will be a 1 hour Guest Special which usually last from 10pm to 11pm. There are large window panels in front of the radio studio where fans can see how the recording is done. Plus, there is a big flat screen TV at the center area where fans can get a close up view of what is going in inside. 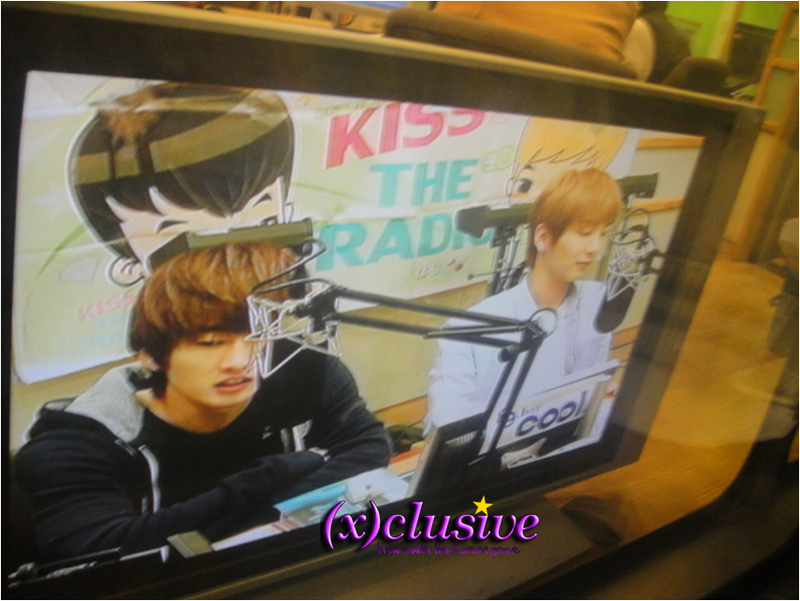 On a cold wintery night of 10th December 2010, along with Jennifer, a blogger from Malaysia who has was invited along to this Winter Trip to Korea, we made our way to KBS to check out Super Junior Kiss the Radio live recording. 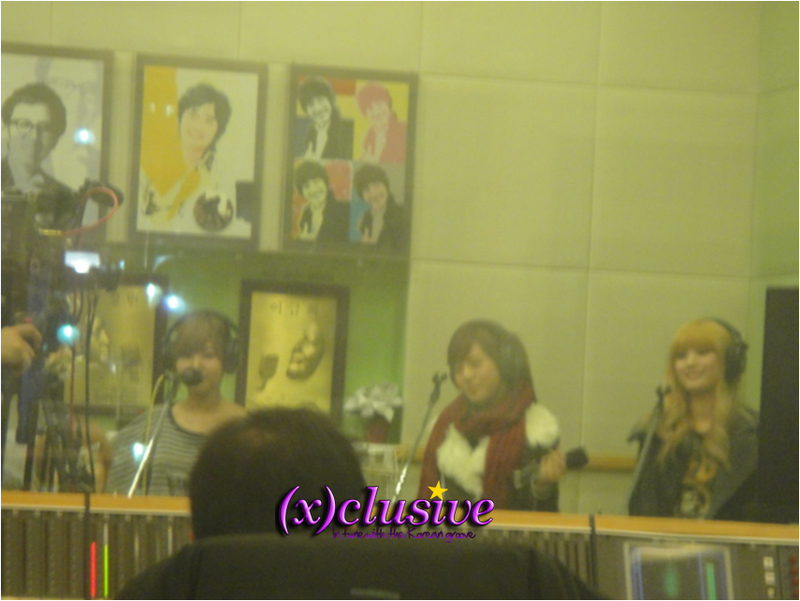 Orange Caramel was the guests of the show that day. During their stayed at the radio station, Orange Caramel sang live for a couple of songs and they had an interview with the 2 DJs. You don’t have to go there super early to get a good spot. 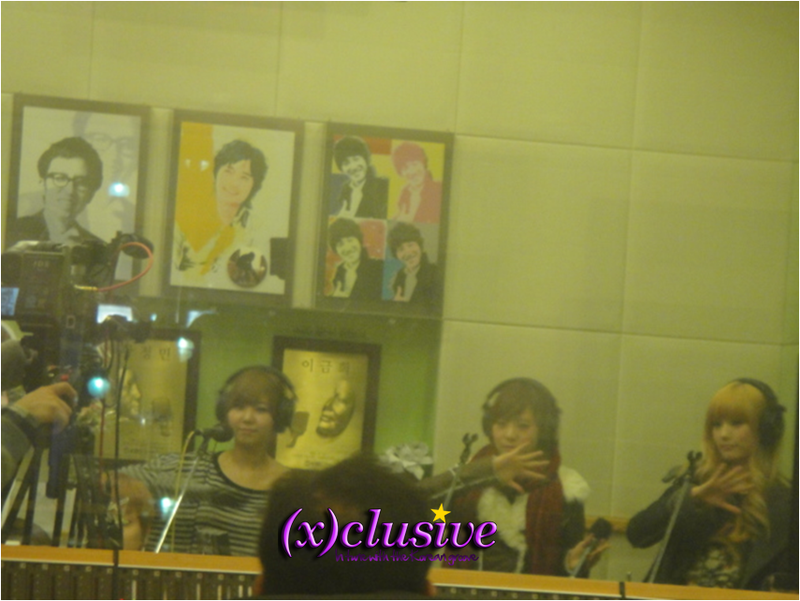 I was there about 30 minutes into the show and I still managed to get a good place to watch the live radio show. 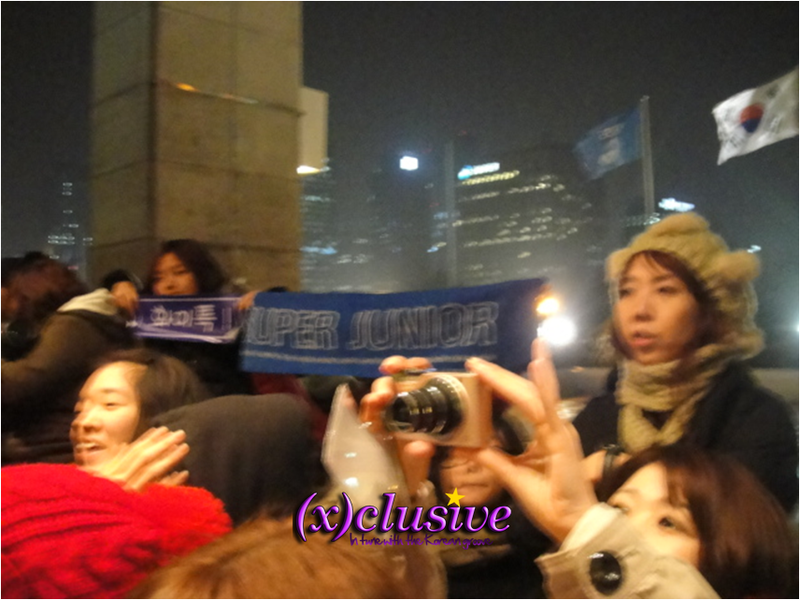 There were about 50 female fans most of them were there to catch of glimpse of the 2 Super Junior DJs. The fans whom were watching the recording of the radio show were mostly foreigners mainly from China, Japan, Hong Kong and Thailand. After 11pm when Orange Caramel left, the 2 DJs continued on with the show by playing more music and having call-in sessions. When the radio show ended at midnight, the 2 DJS walked out of the recording studio towards the direction of the big glass window panels which were near the fans. 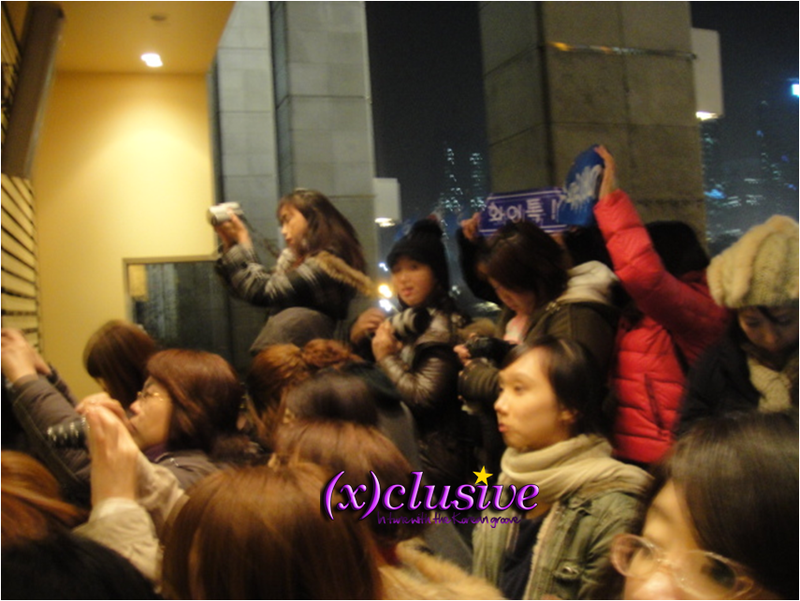 Both Leetuk and Eunhyuk waved to fans as they left the studio. ya how to get to kbs station?